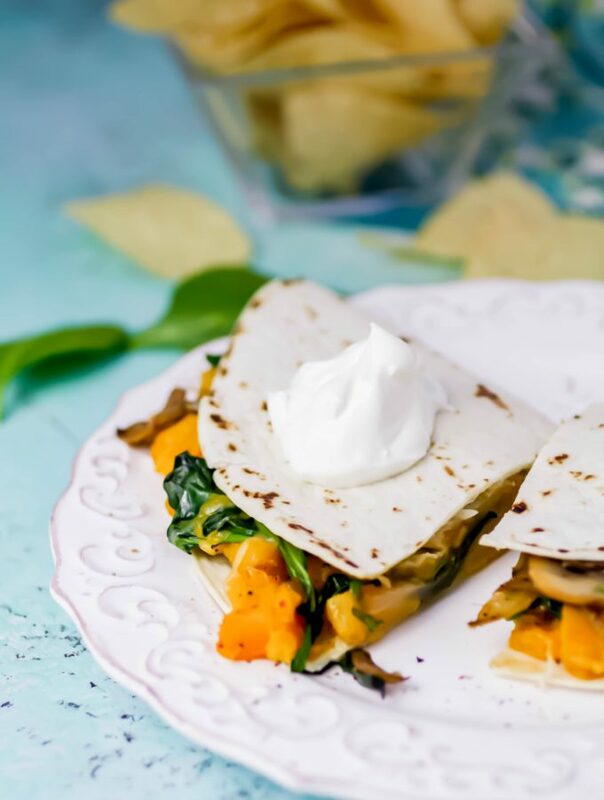 Butternut Squash, Mushroom, Onion, and Spinach Quesadillas make a great option when you’re looking for something hearty for lunch or dinner that won’t weigh you down. 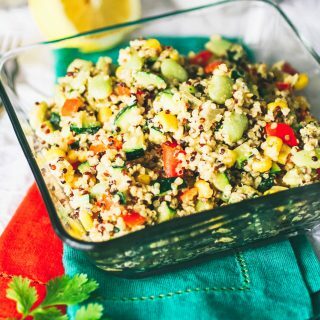 Add a salad and some chips and guac for a great meal! 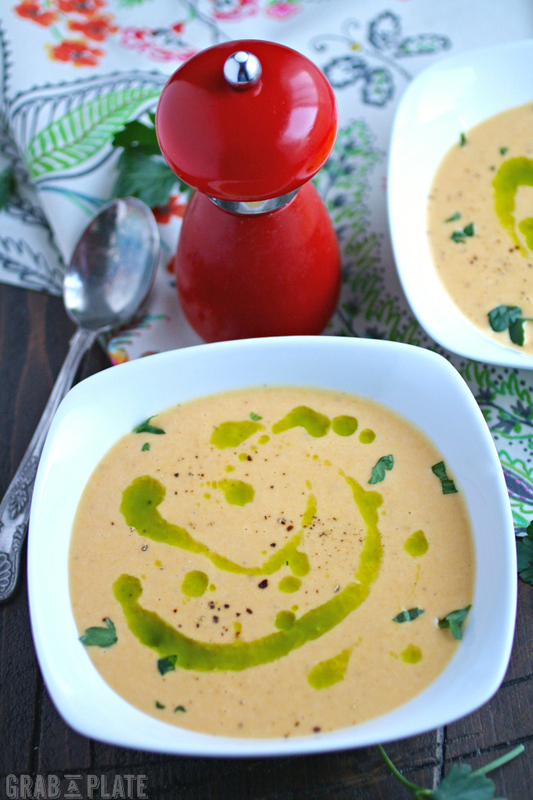 Roasted Butternut Squash & Fennel Soup with Parsley Oil is a fabulous soup for the season. 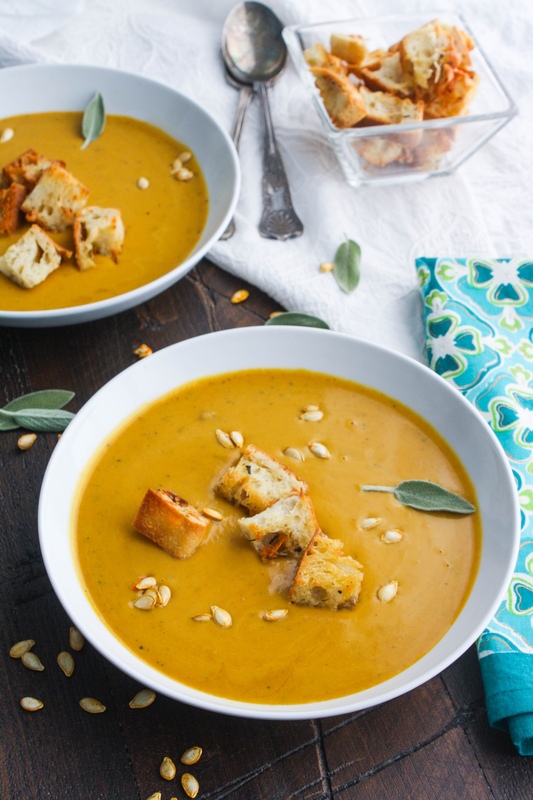 It has a springtime flavor thanks to the fennel, and yet it maintains its heartiness with butternut squash. 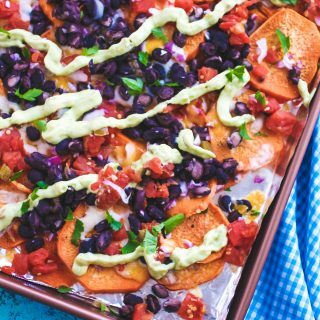 It’s satisfying, colorful, and easy to make. 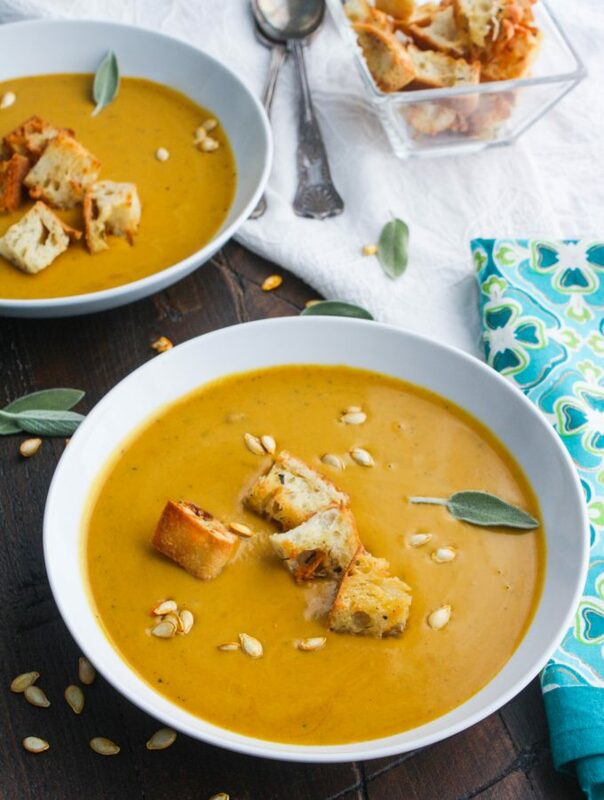 Easy, Creamy Butternut Squash Soup is a wonderful dish to serve as part of a holiday meal, or any night of the week. 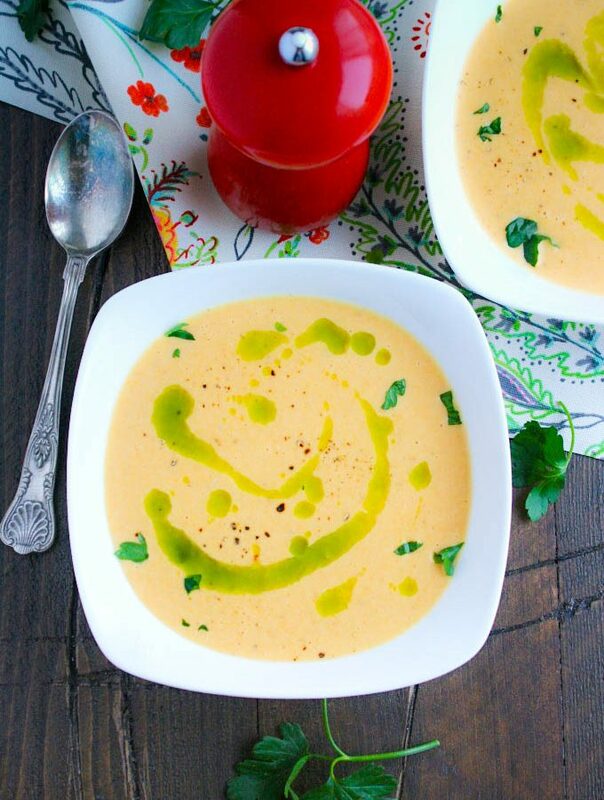 This colorful and flavorful soup is a great addition to any meal. 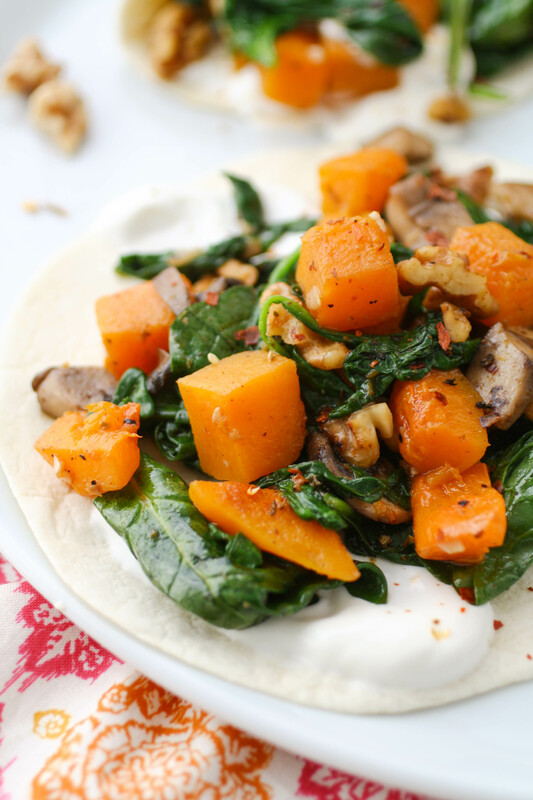 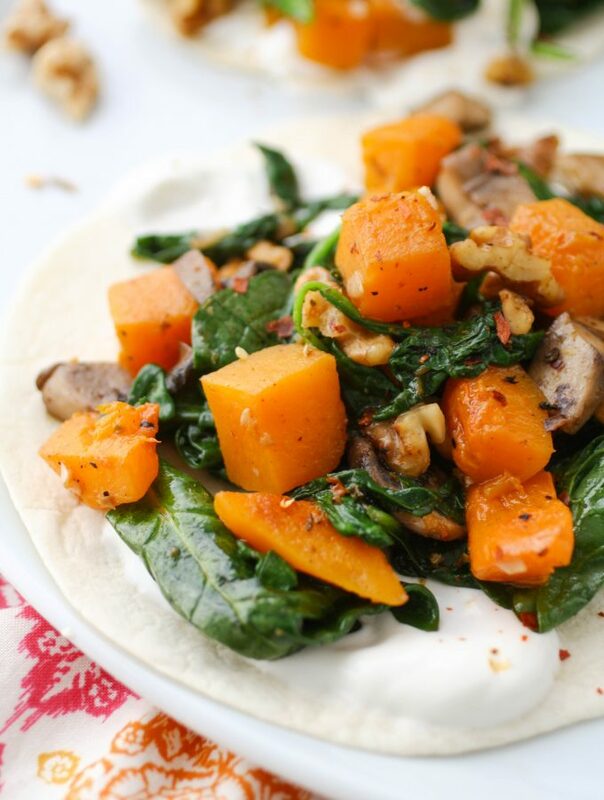 Butternut Squash, Spinach, and Mushroom Tacos are simple and flavorful — with a bit of added crunch from toasted walnuts. 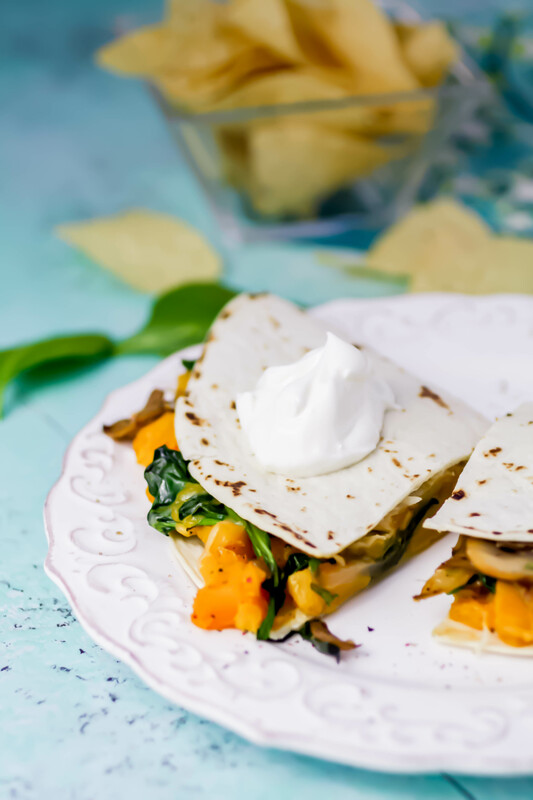 They’re a fall favorite in my house. 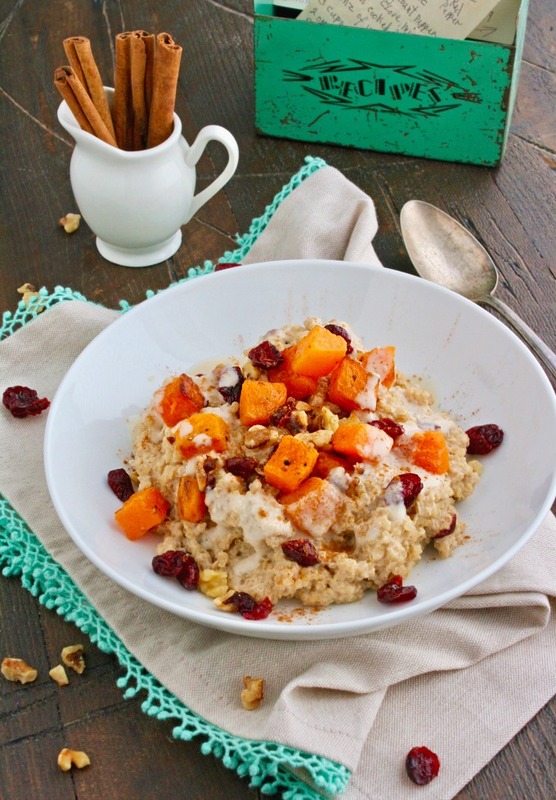 Would you serve quinoa and butternut squash for breakfast? 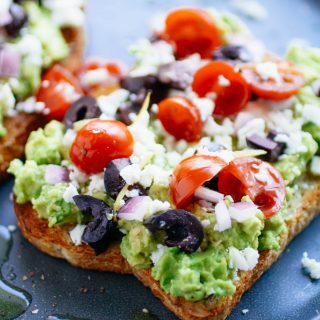 It’s easy to include these two goodies on your morning menu. 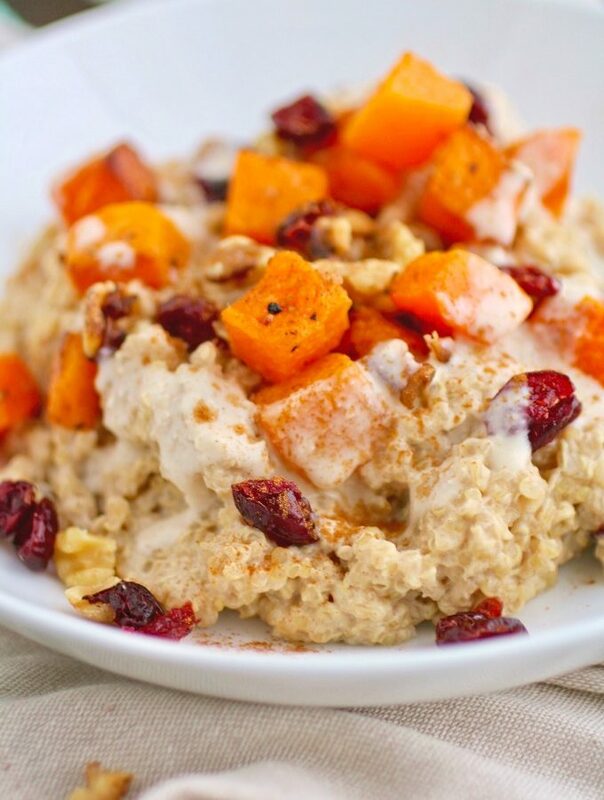 This recipe for Creamy Breakfast Quinoa with Roasted Butternut Squash is delicious, and it definitely helps you get through the first part of the day feeling satisfied.